John Flood lectures in the Department of English Language and Culture at the University of Groningen in the Netherlands. The Keuzegids Universiteiten (access to subscribers only) for 2019 has once again ranked the Groningen BA in English the top English course in the Netherlands (it scored 78; the next programme in the ranking was 64). Earlier in the year, Elzevier also ranked the programme first. WKB18, the week of the book as a work of art, takes place in Groningen between 13-20 October. This will include exhibitions and symposia in 25 locations in the city (including the University Library). The second-hand bookshop, Berger & De Vries, on Pelsterstraat 27-29 is the information point for the events and will have some of the art books on sale. Details of the events here. Trinity College Dublin is running a free online course based around its most famous manuscript, The Book of Kells. 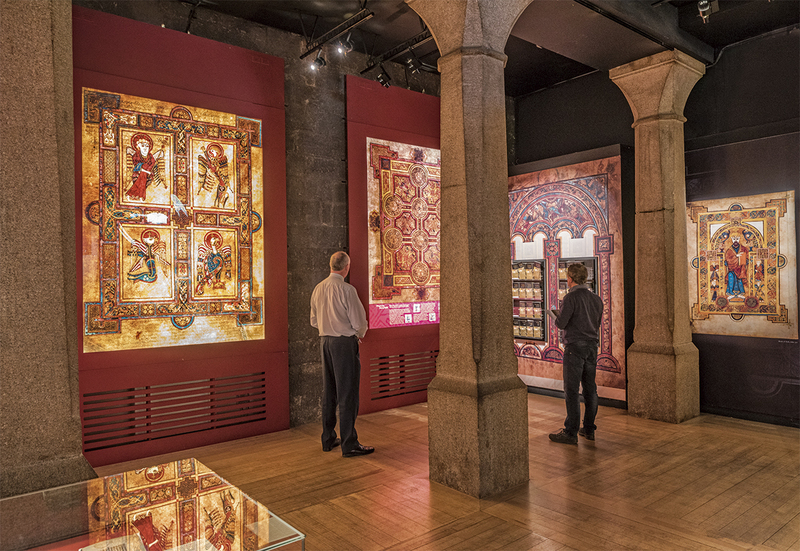 It runs for four weeks beginning on 8 October 2018.
will use the Book of Kells as a window through which to explore the landscape, history, faith, theology, and politics of early medieval Ireland. You will also consider how the manuscript was made, its extended biography and how it has affected different areas of the contemporary world. The Shakespeare Documented site reproduces contemporary documents about Shakespeare’s biography and reception. Records of Shakespeare’s father’s legal problem have recently been rediscovered at the National Archives (London). Their discoverer makes a case for their relevance to the representation of government power in Shakespeare’s plays. See story in The Guardian. George Lauder (1603-1670): Life and Writings by Prof. Alasdair MacDonald (our emeritus professor of English Language and Literature of the Middle Ages) has recently been published by Boydell & Brewer. The Scottish poet George Lauder began as a “university wit”, by imitating anti-papal satires popular in the Italian Renaissance. He set off for London as a young man, looking for patronage, but instead became an officer in the army, seeing service in France, the Low Countries, Germany, Denmark and Sweden — an experience which provides the backdrop to the poetry of his mature years. At the Restoration he wrote a lengthy poem of advice to Charles II, and his final masterwork was a poetic conflation of the Gospel accounts of the life of Christ. Lauder was influenced by Ben Jonson, William Drummond, and by the Metaphysical and the Caroline styles. His personal library testifies to his wide range of interests, and to his acquaintance with European literature in neo-Latin and other languages. This volume traces Lauder’s career, collects all his surviving verse (presented with full notes and commentary), and examines his interactions with certain of the greatest intellectuals of the Dutch Golden Age. Lauder was a British patriot and a loyal supporter of the House of Orange; above all, however, he is the author of a unique corpus of highly accomplished poetry. 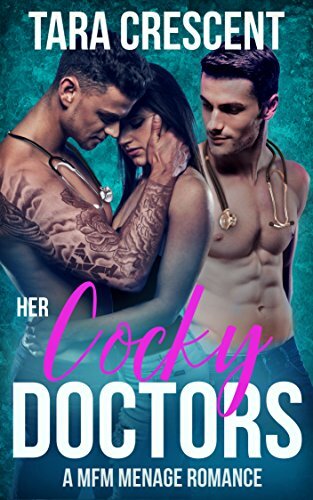 Kindle Unlimited’s algorithms have prompted some e-book authors to cash in on specific terms or cover images. This is a modern twist on an old practice of following on the tails of paper bestsellers. The fight over #Cockygate, as it was branded online, emerged from the strange universe of Amazon Kindle Unlimited, where authors collaborate and compete to game Amazon’s algorithm. Trademark trolling is just the beginning: There are private chat groups, ebook exploits, conspiracies to seed hyperspecific trends like “Navy SEALs” and “mountain men,” and even a controversial sweepstakes in which a popular self-published author offered his readers a chance to win diamonds from Tiffany’s if they reviewed his new book. A record-breaking year for publishers has been greeted with renewed demands for authors to receive a bigger slice of income and investment, as sales of books passed the £5.7bn mark in 2017. Book sales were up 5% on the previous year, according to annual figures released by the Publishers Association. In sharp contrast, a recent survey of authors’ earnings revealed a 42% drop over the last decade, with the median annual income now below £10,500. The boss of the Publishers Association said any tariffs or other barriers to trade post-Brexit “could be a problem”. His warning came as the industry body reported record sales of £5.7bn in 2017, up 5% on the previous year. Exports rose by 8% to £3.4bn, to account for 60% of total income, consolidating the UK’s position as the biggest exporter of books in the world. Norton Textbooks 2018-19: Textbooks published by W.W. Norton and Co. for first courses (e.g. The Norton Anthology of English Literature) from the site www.wwnorton.co.uk are sold to RUG students at a 20% discount if you enter the code WN603 at the checkout. Please note that although this has been facilitated by me as it may be useful to students, I have nothing to do with Norton’s retail department and cannot answer questions about their site or sales processes. I do not claim that this is the cheapest or quickest way to purchase these books. Registration at Academy Building A3. Cost: Eur. 2.50 including lunch. Other speakers are from International Relations, Journalism, and Law. ‘Hooked: Art and Attachment’ by Professor Rita Felski (Department of English, University of Virginia). Friday 8 June, 11:30-13:00, Heymanszaal, Academy Building. Professor Felski is an expert in literary theory. ‘The Matter of Touching: Interpreting Signs of Wear in Late Medieval Manuscripts’ by Professor Kathryn Rudy (University of St. Andrews). Monday 18th June, 16:00-18:00, A2 Academy Building.